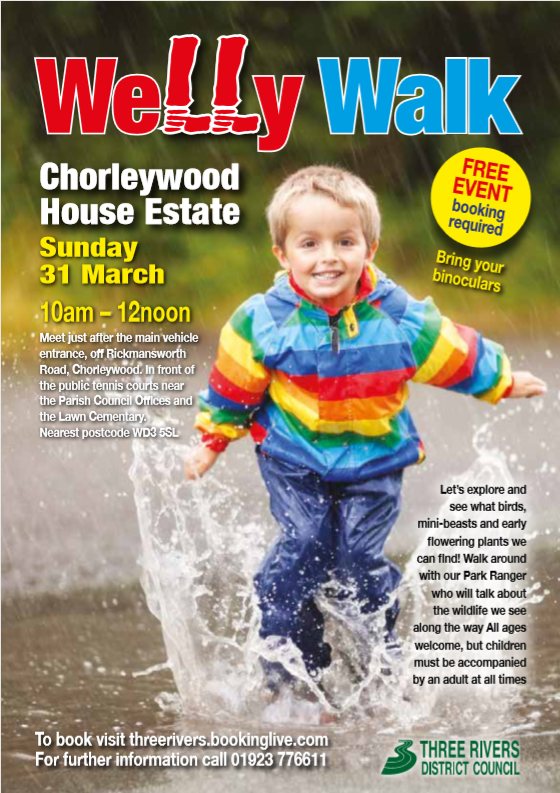 Join the Park Ranger on Sunday 31st March at 10am for a walk around the Chorleywood House Estate. All ages welcome, but children must be accompanied by an adult at all times. This is a free event, but booking is required. Visit https://threerivers.bookinglive.com/ to book and also find out about other regular events.